KNAC.COM - News - X JAPAN Drummer To Have Emergency Surgery In L.A.
X JAPAN Drummer YOSHIKI To Have Emergency Surgery In L.A. It has been determined by multiple doctors that YOSHIKI of X JAPAN will undergo an emergency cervical artificial disc replacement surgery on Tuesday, May 16 in Los Angeles. As a result of YOSHIKI's intense drumming style and the impact it has had on his physical health, he was diagnosed with cervical foraminal stenosis in July 2009, and then underwent a cervical laminectomy and a cervical foraminotomy. After suffering from a herniated disc that has worsened over the past six months, YOSHIKI has experienced symptoms including numbness and severe paralysis of the left hand and arm, which have since been affecting his musical performances. Upon receiving a complete examination by his doctors in both Japan and the U.S., YOSHIKI was diagnosed with cervical foraminal stenosis (radiculopathy of the left arm and herniation of intervertebral disc C5-C6). After thorough consultation, YOSHIKI has no choice but to undergo surgery at this time. YOSHIKI has been informed by a neurosurgeon in Japan that his neck has experienced severe damage that would force a professional rugby player to retire. It has been medically determined that he is approaching his limit, both physically and mentally. The intensive schedule has taken its toll on his already damaged nervous system. With performances at Visual Japan Summit Festival, Yoshiki Classical Special in Japan, Hong Kong, Carnegie Hall in New York and Wembley Arena in London, he has continued to play around the world with X JAPAN and solo. In addition to adopting an intensive travel schedule to over 20 film festivals globally to promote the documentary We Are X, contributed to his health condition. "I had the pleasure of seeing Yoshiki, who has a C5-6 disc herniation with left arm radiculopathy. He has been recommended to have a cervical artificial disc replacement," explains Neel Anand, M.D., YOSHIKI's Orthopedic Spine surgeon in the U.S.
Dr. Tommy Tomizawa, M.D., adds "It was decided upon consultation that he will undergo emergency surgery as the condition of his neck at present will interfere not only with his career as an artist, but also with everyday life. From viewing the results of the MRI and CT scans, the damage is so severe that it is apparent that he has experienced considerable pain while performing. As this would be his second such procedure, we eliminated the option of a cervical foraminotomy, an operation in which a portion of bone is removed. Yoshiki's symptoms reappeared at the Visual Japan Summit festival, which was held last October in Japan. By the time he performed in January of this year at New York's Carnegie Hall, he had already lost the sensation in his left hand. The symptoms worsened this March following the U.K. Wembley performance, but he continued recording. Even in his condition at that state, Yoshiki stated that he wanted to see things through to the end. However, due to the worsening of his symptoms, doctors, determined that if the situation continued he would have gone beyond the point of surgery and recovery." The operation is to be performed on May 16th at a Los Angeles hospital. Unfortunately, the cancellation of all scheduled activity in May could not be avoided. X JAPAN's World Tour of Japan We Are X 2017 dates in July, the Yoshiki Premium Dinner Show dates in August and September, as well as yet-to-be-announced dates for the summer world tour that was to start in Los Angeles, are now undergoing rescheduling with his U.S. agency William Morris Endeavor. 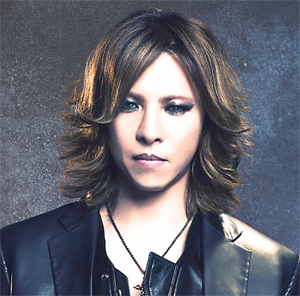 Following YOSHIKI's operation, a discussion whether to cancel, postpone or move forward as scheduled will be held amongst the agent, promoter and management. We deeply apologize for the inconvenience this will cause to fans and everyone involved.